By Adebusuyi, G. A.; Ojo, D. K., Oyedeji; O. F., Amadi, J. O. and Sowunmi, I. L.
The effects of some post severance treatments on the rooting potentials of juvenile stem cuttings of Dialium guineense Willd was assessed in an experiment conducted at the Physiology and Tree breeding Section’s Nursery of the Forestry Research Institute of Nigeria, Jericho, Ibadan, Oyo State, Nigeria. 160 single node softwood cuttings of D. guineense were randomly assigned to 4 treatments namely orange seed extract, pawpaw seed extract, 250 ppm indole-3-butyric acid (IBA) dissolved in industrial alcohol and a control (water) applied by dipping the base of the cuttings for 10 seconds. Although the results displayed no pronounced effect of seed extracts and IBA on the leaf abscission and cutting mortality at 0.05 level of probability but there was a significant difference in shoot formation with the control showing a mean of 2.50 followed by pawpaw (1.75), IBA (1.50) and orange (1.0) respectively. Also there were significant differences in root formation, number of roots and root length with pawpaw seed extract recording higher values than the rest of the treatments. 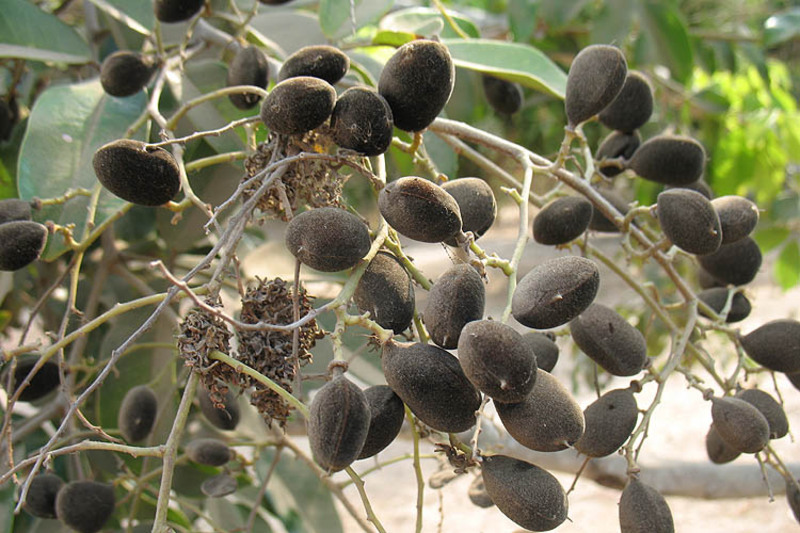 The results therefore, suggest that pawpaw seed extract can replace synthetic IBA in inducing rooting in cuttings of D. guineense for mass clonal propagation.